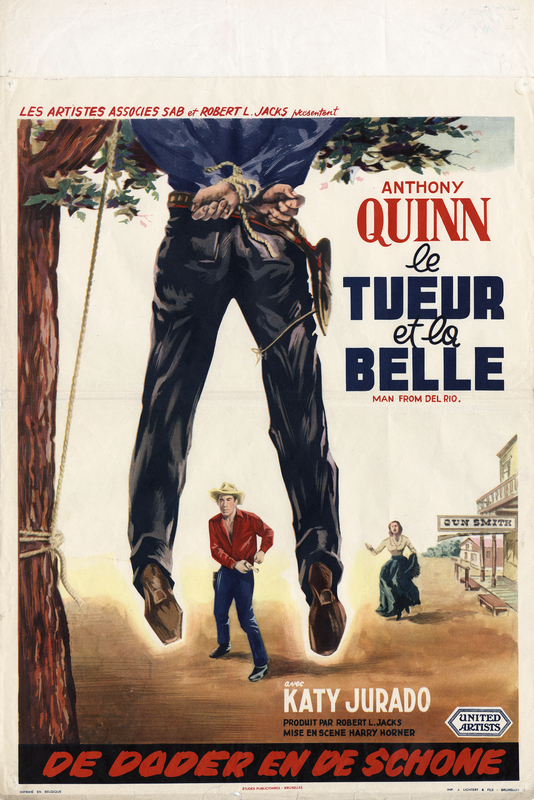 SCVHistory.com LW3173 | Melody Ranch | Belgian Movie Poster: 'The Man From Del Rio' (UA 1956). 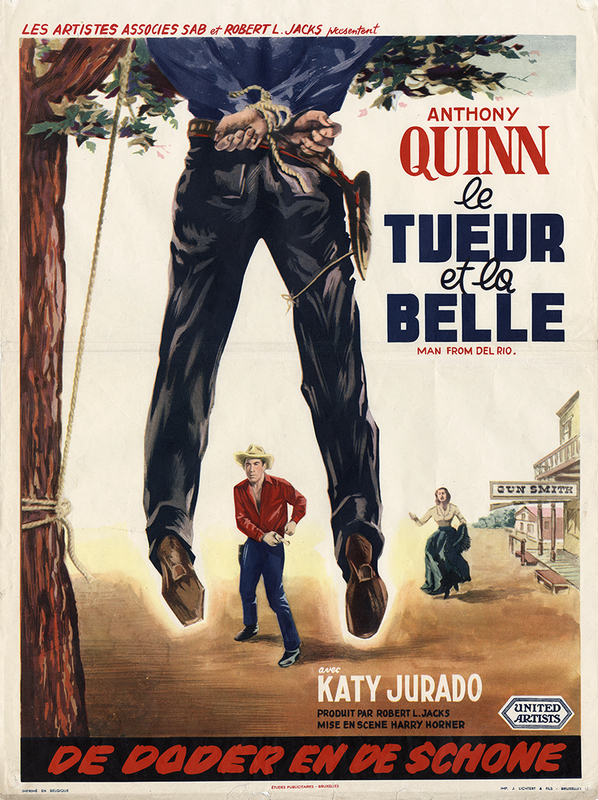 "The Man From Del Rio"
Anthony Quinn and Katy Jurado star in the Robert L. Jacks picture, which was filmed at Gene Autry's Melody Ranch in Placerita Canyon. 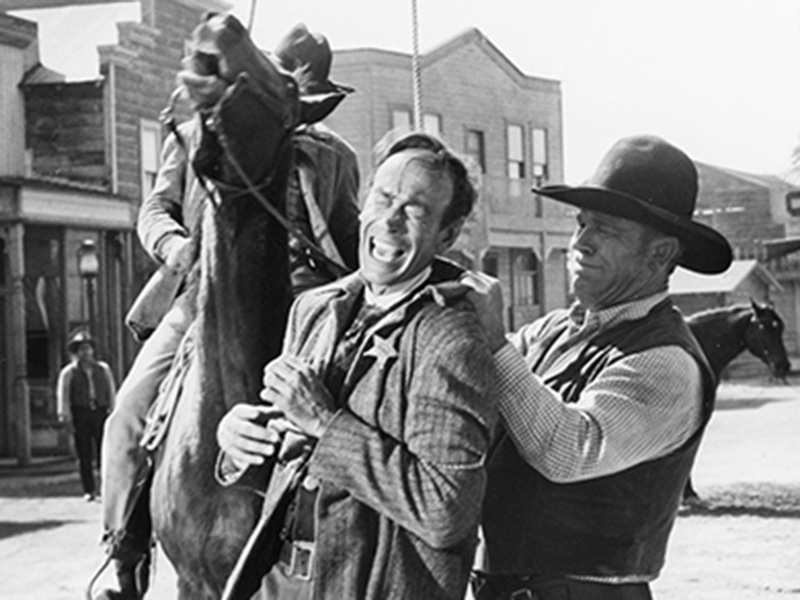 Both Quinn and Jurado hailed from Mexico; Quinn, who became a Hollywood legend, was born Antonio Rudolfo Oaxaca Quinn on April 21, 1915, in Chihuahua, Mexico, to an Irish-Mexican father and a Mexican mother. Jurado was born January 16, 1924, to a wealthy family in Guadalajara, Mexico, and while she had some major roles in Hollywood (including Gary Cooper's mistress in "High Noon"), she was even better known in her native Mexico, where she continued to appear in Spanish-language soap operas in the 1990s. LW3173: 9600 dpi jpeg from original photograph purchased 2017 by Leon Worden.